Solola, Guatemala, October — The market is humming with activity surrounding my every move. 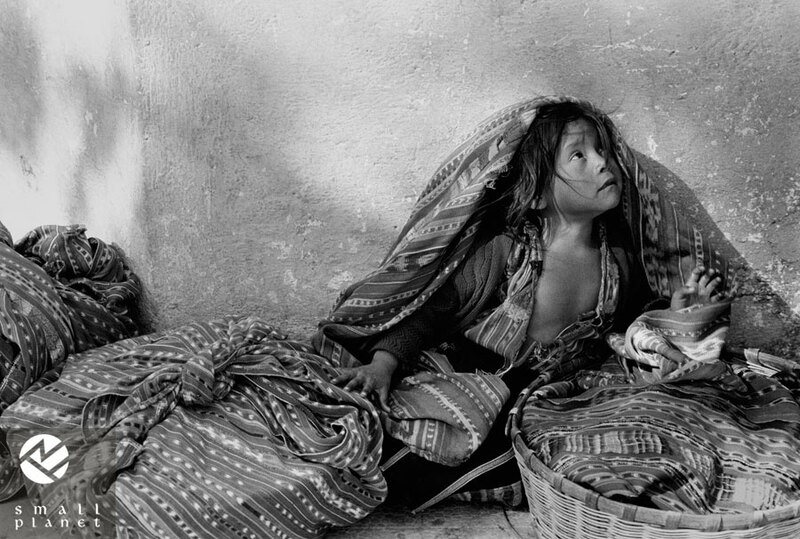 I spot the young child seated under and behind her family’s cloth-wrapped bundles of goods for sale. Everything is vivid shades of red, but my instinct says black and white. The bright sun is high overhead and there is too much contrast for color right now. I only get one frame with her looking skyward like this, just this one chance. I am rewarded with the delicate way the light plays over the scene, and the multilayered expression on the young girl’s face. Some days you get lucky. I have always been interested in documenting spontaneous moments of everyday life, no matter where I am. Combining my vision as a fine art photographer with my instincts as an experienced photojournalist, my aim is to create images that will transport you geographically, move you emotionally, and honor the rich and diverse tapestry that is our small planet.